The client is an individual from Coimbatore who lost his data from his Seagate external hard drive. To successfully recover the lost photos and videos from the external hard drive manufactured by Seagate. 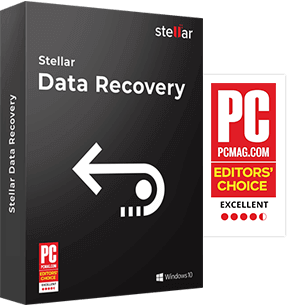 Approached Stellar Data Recovery-Coimbatore for Seagate’s external hard drive recovery. Successfully recovered the client’s cherished photos and videos from his corrupt Seagate external hard drive. An individual from Coimbatore, a city in the southern state of Tamil Nadu in India. Also known as Kovai, it is one of the major cities in the state which people visit for its beauty. The client used a 3.5" Seagate hard drive (Model No. : 1KBAP1-501, Serial no: NA7DZMJ9) with data storage capacity of 2TB. This large size of the external drive ensured that the client could access the significant amount of data saved on it. However, all of a sudden, the hard disk drive stopped working and all data saved on it became inaccessible. As the stored data got lost, the client was in need of assistance to recover his photo and video data from the drive. The client was worried about the confidentiality of his data saved on the external drive running Windows Operating System. Therefore, all that he wished to have was a safe and secure recovery of his data from the drive that could ensure 100% fail-safe external hard drive recovery. The client directly came to our Stellar Data Recovery - Coimbatore Service Centre and handed over the 2TB external hard drive to us for data recovery. This was because he was already aware of the steps involved in the data recovery process as he had obtained similar services in the past. The executive at our Service Centre listened to the client’s issue attentively while taking the external hard drive in charge. The client stated that while using the drive, he lost all the stored data of his photos and videos the most important. Therefore, he emphasized primarily on restoring his photos and videos. Thereafter, the executive assured to the client that his lost photos and videos would be successfully recovered from his drive that had stopped working. 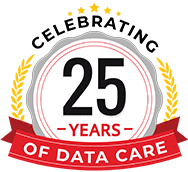 On doing so, the client gave a green nod to the experts for starting the process of External Hard Drive Data Recovery for the Seagate drive. As a part of recovery process, the full image of the affected drive was taken by a recovery expert. Then, the expert tried to scan it by using a recovery software. On completion of the scan, all the partitions were displayed. And, on clicking each partition, all the stored files and folders were visible and could be previewed. Through this, a few data were recovered with some still being in a damaged state. Therefore, the experts executed the scanning process once more by using the recovery software, and all the partitions were retrieved. This time, on opening the partitions, all data that the client wished to have, was restored. With this, the client, got elated as he was able to recover all his photos and videos.